As an example, USA Today has reported, "Canadians surpass Californians this year (2010) as the top out-of-state buyers of Phoenix area real esate" as reported by Haya El Nasser. Why? 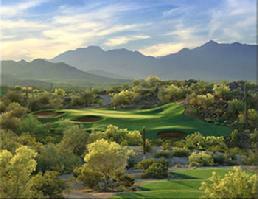 Reasonable prices of homes and low mortgage rates in the great desert southwest are very attractive. This coupled with the warmth, beauty and peacefulness of the desert offer a beckoning beacon to our neighbors to the north. 10. Did I mention warm weather? Listen to "O Canada" while you view this page. "O Canada", the national anthem of Canada was originally commissioned by Lieutenant Governor of Quebec Th�odore Robitaille for the 1880 Saint-Jean-Baptiste Day ceremony. Calixa Lavall�e wrote the music as a setting of a French Canadian patriotic poem composed by poet and judge Sir Adolphe-Basile Routhier. The lyrics were originally in French and translated into English in 1906. Listen to "God Bless America" while you view this page. "God Bless America" is an American patriotic song written by Irving Berlin in 1918 and revised by him in 1938. "God Bless America" takes the form of a prayer (intro lyrics "as we raise our voices, in a solemn prayer") for God's blessing and peace for the nation ("...stand beside her and guide her through the night..."). God Bless America, Land that I love. Stand beside her, and guide her through the night with a light from above.....God Bless America, my home sweet home. Canadians buy many Homes in Arizona. Canadians know a bargain when they see one. The best prices are in the outskirts of the Phoenix metropolitan area where homes in Queen Creek, Maricopa, Surprise, Buckeye and similar cities are often lower priced than central Phoenix, Scottsdale and Paradise Valley, due to the long commute. Homes in these areas tend to be newer as the city has expanded outward. Canadian buyers are here on vacation and can enjoy the city outskirts with newer homes and shopping, golf courses and easy access to ball games and when they leave the central city will have easier access to travel destinations throughtout the Grand Canyon State. Of course living in Scottsdale is also a great choice with world famous restaurants, resort hotels, golf course, shopping and more. Golf courses, Ranches, Lakes, Mountains, Forests, Canyons, Sunsets, Rivers, Resorts, Dining, Major league Sports Teams, Hiking, Horseback Riding, Universities and so much more. The beauty and open spaces make Arizona one of the most unique destinations in the world. There is a special place in Arizona just waiting for you. Founder Barbara Tobar, has extensive mortgage experience, on both sides of the border, gained over the past 20 years. She was born and raised in Alberta, and has spent her entire career in the financial services industry. She brings a level of knowledge and professionalism to every client that reflects her passion for service and dedication to helping people. Her reputation is one of sincerity and integrity. Note: These banks have been past lenders for Foreign Nationals. All lending guidelines are subject to change. Check with your own bank and find out which US banks they may work with.